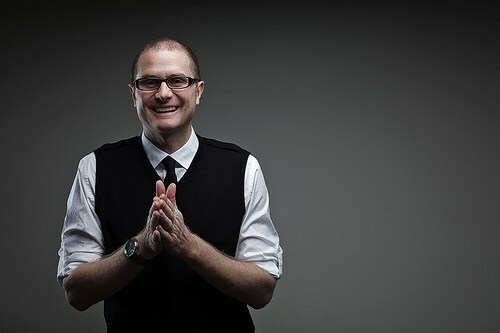 It has been just 16 months since Rob Bell’s Love Wins was released. The book, which seeks to undermine the biblical doctrine of eternal punishment, was roundly rejected by evangelical leaders (see here, here, or here). But in college ministries across the country, it had the effect of introducing ambiguity where there was previously certainty. Today, Rob Bell has left his church, and moved to Los Angeles where he is “working on other creative projects,” and thus proving Jesus’ words that wisdom is vindicated by her children. Those projects are as of yet undisclosed, but there are rumors of a TV show about his life. As for the theology about eternal punishment, I don’t know of any churches that have changed their doctrinal statements as a result of Bell’s book. He may have introduced ambiguity into the hearts of Christians, but—as of now—it seems like the doctrine of eternal punishment withstood its latest attack. • OT Prophecy: The most well known passage in the OT on hell is at the end of Isaiah. There, the prophet describes hell as being visible in the eternal state, and notes that “Their maggots will never die, their fire will never go out, and they will be a horror to all mankind” (Isa 66:24). The context of this passage is important. Isaiah is describing how at salvation, the old is gone and the new will be there (Isa 65:17). In that place, where people dwell with God forever, the torment of hell will be real and ever present. Then, to seal this imagery, Jesus quotes these words in Mark 9:48, using the Greek word that indicates that this fire is indeed eternal. Daniel describes hell as eternal as well (Dan 12:2), and this is another verse that is repeated by Jesus. • Jesus: Our savior describes the fire as hell as “unquenchable” (Mark 9:43). He describes hell as eternal when he explains that at final judgment he will say to those on their way to hell “Depart from me, you who are cursed, into the eternal fire prepared for the Devil and his angels!” (Matt 25:41). Later he compares the eternality of hell to the eternality of heaven (Matt 25:46). • NT Prophecy: The Apostle John describes the smoke of hell as ascending “forever and ever.” In that same passage (Rev 14:11) the smoke is explicitly connected to the torment of those suffering, and is then compared to the endurance of the saints. So the torments of hell last as long as the endurance of those who are saved. This imagery is repeated later—and applied to demons and the devil as well—in Rev 19:3 and 20:10. Later in Rev., it is clear that throughout the new heaven and new earth, there are those outside the city who are being punished by torment (eg. Rev 22:14), so that as long as heaven exists, this description stands. At the very least, the Bible ties the duration of those that worship God to the duration of those that are punished in hell by God. It is not a happy truth, but it does continually provoke us to be more thankful for his grace and mercy, and that thankfulness will apparently grow even throughout eternity. He’ll help us clear from all the ill that hath us now o’ertaken. But for us fights the proper Man, whom God Himself hath bidden. We lay it not to heart so sore; not they can overpower us. But, spite of hell, shall have its course; ’tis written by His finger. For the choir director. A Psalm of the sons of Korah, set to Alamoth. A Song. God is our refuge and strength, A very present help in trouble. Therefore we will not fear, though the earth should change And though the mountains slip into the heart of the sea; Though its waters roar and foam, Though the mountains quake at its swelling pride. There is a river whose streams make glad the city of God, The holy dwelling places of the Most High. God is in the midst of her, she will not be moved; God will help her when morning dawns. The nations made an uproar, the kingdoms tottered; He raised His voice, the earth melted. The LORD of hosts is with us; The God of Jacob is our stronghold. He burns the chariots with fire. Cease striving and know that I am God; I will be exalted among the nations, I will be exalted in the earth.” The LORD of hosts is with us; The God of Jacob is our stronghold. Could you please read the following carefully, and then sign it–if you agree to it. I am resolved to persevere in sin, and follow the maxims and customs of those around me–though it costs me the loss of my soul, and exposes me to everlasting damnation. I am resolved to reject the Son of God–I will not embrace Him as my Savior, or have Him reign over me. I am resolved that I will not accept the pardon which God presents to me in the gospel, though it cost Jesus His life to procure it–and I know I must eternally perish without it. I am determined not to submit to God’s way of salvation, and I consent to be lost forever! I have made up my mind, that I will never consent to receive a free salvation by faith in the Lord Jesus Christ–I will not have it! I am resolved . . .
to harden myself against all His invitations, expostulations, exhortations, and promises! I am resolved that I will not . . . I am determined that there shall never be joy in Heaven among the angels of God–on account of my conversion. I will never . . .
or take up my cross and follow Christ! and if it secures my eternal damnation–then let it do so! I will not take the yoke of Christ upon me, and engage to be His subject and servant–even though Heaven and all the glories of eternity would be secured by it. If I cannot escape the wrath of God–but by faith, repentance, and holiness–why, I am determined go to Hell, for I am resolved not to yield to any such terms! It is of no use for the preacher to spend His breath upon me! My mind is made up, I will be my own master, I will take my own course! No one has any right to interfere with me–for I shall injure no one but myself! I have no objection to going to church, or to attending to some religious forms–but to give my heart to God, to be crucified to the present world, and to make God’s glory the end of life–will never do for me; therefore I gladly take the consequences. If this is required of those who would be true Christians–then you must stop urging me–for I will not yield! You must stop all attempts to convert me, for my mind is made up! I have heard hundreds of sermons, I have read the Bible myself–but I have hardened myself against the whole, and I am not going to yield now! for you will never induce me to yield myself unto God, and seek the salvation of my soul. For my mind is made up, and my daily conduct is enough to convince you of it, if anything would. I am resolved not to yield–let the consequences be what they may! I will go on just as I have done! I will not be Christ’s servant! I will not be God’s child! I will obey only Satan! I will follow the course of this evil world! I will serve my lusts and pleasures! In proof thereof, witness my signature, ____________. “Therefore our Saviour, desirous to set out the pains of hell unto us, and to make us afraid thereof, calls it fire, yea, a burning and unquenchable fire. For as there is no pain so grievous to a man as fire is, so the pains of hell pass all the pains that may be imagined by any man. There shall be sobbing and sighing, weeping and wailing, and gnashing of teeth, which are the tokens of unspeakable pains and griefs that shall come upon those that die in the state of damnation. For you must understand that there are but two places appointed by Almighty God, for all mankind, that is, heaven and hell. And in what state soever a man dieth, in the same he shall rise again, for there shall be no alteration or change. Those who die repentant and are sorry for their sins—who cry to God for mercy, are ashamed of their wickedness, and believe with all their hearts that God will be merciful unto them through the passion of our Saviour Christ; those who die in such a faith, shall come into everlasting life and felicity, and shall rise in the last day in a state of salvation. For look—as you die, so shall you arise. Whosoever departeth out of this world without a repentant heart, and has been a malicious and envious man, and a hater of the word of God, and so continues, and will not repent and be sorry, and call upon God with a good faith, or has no faith at all; that man shall come to everlasting damnation; and so he shall arise again at the last day. J.C. Ryle, Holiness: Its Nature, Hindrances, Difficulties, and Roots, “A Woman To Be Remembered”, [Moscow, ID: Charles Nolan Publishing, 2001], 212.